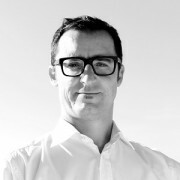 Guillaume Hédiard has been involved in the Power and Utilities activities with over 13 years of experience. Hédiard has recently joined Total Solar as Head of Project Finance and Economics. Prior to joining Total Solar, Hédiard has worked at CA-CIB, where his primary focus was on the power EMEA region and where he led numerous debt raising arrangements and advisory mandates for complex renewables projects. Alexander Lenz is the Chief Executive Officer of Conergy, a renewable energy company that develops, builds, owns and operates solar power generation assets. Conergy was recently acquired by Macquarie’s Green Investment Group. Since 2010, Lenz has been responsible for building Conergy’s business in Asia Pacific, achieving a market leading position in the emerging markets of South East Asia, Japan and Australia, where the company developed, built and operated solar power plants with an aggregate capacity of >500MWp. Lenz previously held senior corporate management roles with Conergy AG as VP of Corporate Development and Restructuring and Senior Manager for Strategic Projects. 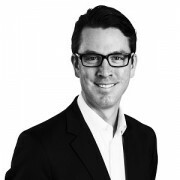 Prior to joining Conergy, Lenz was a senior consultant for Restructuring & Corporate Finance with Roland Berger Strategy Consultants, as well as a consultant for Deloitte Management Consulting earlier in his career. 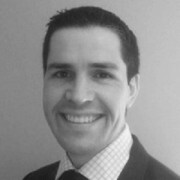 Tom Tayler is Senior Legal Counsel at Aviva Investors. As well as his experience in regulated and unregulated funds, Tom supports the Aviva Investors Global Responsible Investment team, including work on market reform such as through Aviva Investors’ participation in the EU High Level Expert Group on Sustainable Finance, and the UK Green Finance Taskforce. He has a particular interest in the reform of fiduciary duties in the investment chain. Prior to Aviva Investors, he has worked for Allen and Overy, Beachcroft LLP, the Treasury Solicitor’s Department, and as a lecturer at the College of Law. 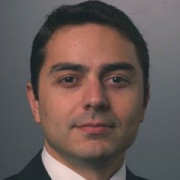 Boris Balan is Vice President, Europe at Northland Power. He is responsible for representing Northland in its European development activities. Boris has been with Northland since 2001. 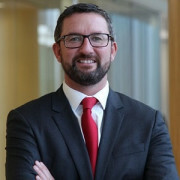 He was the lead developer responsible for Northland's first onshore wind project in 2004 and oversaw the company’s expansion into Saskatchewan, resulting in the successful completion of two natural-gas power plans, before assuming responsibility for the company’s European development efforts in 2014. In addition to the Nordsee complex of three offshore projects, he was involved in Northland’s acquisition of the 252 MW Deutsche Bucht offshore wind project in Germany and Northland’s bids in the 2017 German offshore wind auction. He continues to originate renewable and clean energy opportunities throughout Europe. Philippe Benaroya has 24 years of infrastructure finance experience, including 18 years on the buy-side. Benaroya is one of the pioneers in infrastructure debt asset management since 2011. Prior to Generali Global Infrastructure, Benaroya was Co-Founder and Co-Head of the Infrastructure Debt Business at BlackRock, Co-Head of the Infrastructure Debt Business at Blackstone / GSO Capital Partners and Member of the Infrastructure Finance Management Committee at Financial Security Assurance / Assured Guaranty. Since joining Arenko Group, Loic Cerulus originated one of the largest battery storage facilities in the UK. Cerulus has played a key role in establishing revenue service contracts and realising new markets. Cerulus is currently heading up the commercialisation of Arenko Group’s grid-edge Digital Asset Management platform. 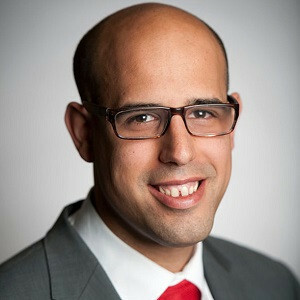 Alejandro Ciruelos is a Managing Director at Santander Global Corporate Banking, the international wholesale banking division of Banco Santander. Ciruelos joined Santander Global Corporate Banking’s Project & Infrastructure finance department in 2006 as part of its global energy practice. During this first stage of his professional career at Santander Ciruelos focused on the financing of renewable energy projects located in continental Europe and North America across a variety of different technologies including solar photovoltaic, onshore wind and concentrated solar power. 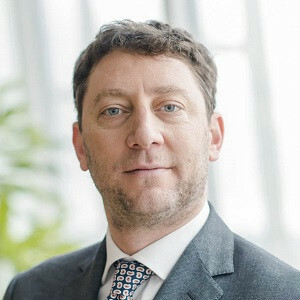 In 2008 Ciruelos relocated to London in order to enhance Santander’s presence across Europe expanding his remit to the financing of conventional and renewable energy power projects as well as regulated utilities. 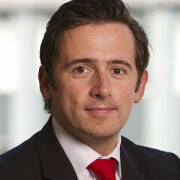 Ciruelos is currently the head of Santander’s Project & Infrastructure finance department in London and responsible for the origination, execution and distribution of non-recourse project finance and debt advisory mandates across the energy and infrastructure sectors in the UK, Ireland and Scandinavia. 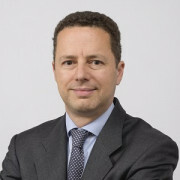 Throughout his tenure at Santander Ciruelos has led the structuring, execution and negotiation of over 30 transactions in the renewable energy sector in multiple geographies including, amongst others, the Race Bank, Galloper, Dudgeon and Beatrice offshore wind farms,, the first project bond financing issued by an offshore wind transmission owner (Greater Gabbard OFTO) and most recently, the acquisition financing and refinancing of several portfolios of assets by some of the most prominent UK-listed and private renewable energy infrastructure vehicles such as Cubico, Infinis (now Ventient) Greencoat, Foresight Solar or NextEnergy Solar Fund. He is now Energy Solutions Sales Director, thus responsible for the development and sales of all Energy Solutions for our business customers, including energy monitoring and energy efficiency, Demand Side Response, storage and Electric Vehicles. 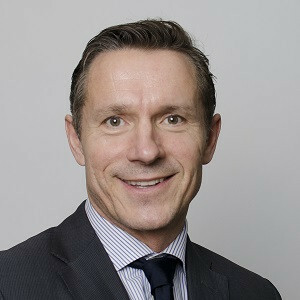 Mark Dooley is Global Head of Green Investment Group. 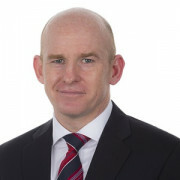 Dooley is also Co-Head of Macquarie Capital’s European Infrastructure & Energy business. Dooley has been involved in structured finance and investment in energy and infrastructure projects for more than 25 years. Dooley started his career as a lawyer in Australia and was a structured finance partner at a major Australian firm before switching to investment banking in 1997. As an investment banker he has focussed on energy and infrastructure assets in Australia and in Europe. Dooley was head of ABN AMRO’s European Infrastructure Capital business until joining Macquarie Capital in 2005. Over his career Dooley has worked on pioneering transactions in transport and social infrastructure, telecommunications infrastructure and, over the last decade in particular, renewable energy and transmission. Highlight transactions include the acquisition of the UK Green Investment Bank – 2017, Race Bank offshore wind farm and MGT Teeside biomass – 2016, Galloper offshore wind farm and Baltic II offshore wind farm – 2015, Low Carbon 150 MW solar program – 2014, 5 assets from the UK OFTOs programme from 2009 onwards, Peterborough Hospital PFT – 2007, Port Stephens and Cairns Co-Composting facilities – 1998 & 2001 and Reef Networks Fibre Optic Cable, Queensland – 2000. 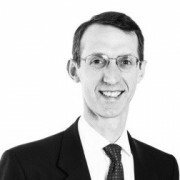 Tomas Freyman is a partner in Grant Thornton UK LLP’s Valuations team. Freyman has particular expertise across Renewable Energy where he and his team have valued in excess of 10 gigawatts of renewable energy generating capacity for dozens of corporates and infrastructure funds investing in wind, solar, energy storage and biomass. 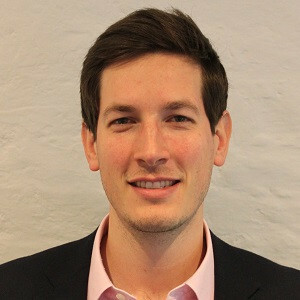 Federico Giannandrea joined Foresight Group in 2010 and currently works as a Partner in the London, Rome and Madrid offices. Giannandrea has over 17 years of experience and leads Foresight’s infrastructure investments in continental Europe. 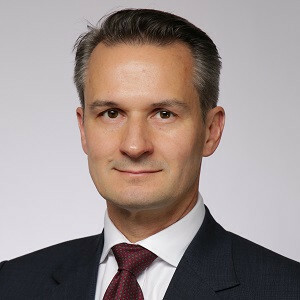 Prior to joining Foresight Giannandrea worked at Deutsche Bank as a Vice President in the Global Principal Finance team in London, where he focused on renewable energy investments across Europe. 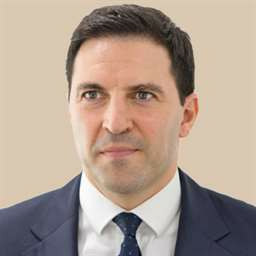 Giannandrea also worked as an M&A lawyer at Allen & Overy where he focused on a wide variety of transactions, including acquisitions, securitisations and financings. Simon has worked in the renewable sector since 2002 following a career in conventional power generation and co-generation. His initial years were spent in the front-line development team for a major UK utility and then evolved this position to become the Head of the Pre-Construction team focused on translating permitted schemes into projects that are shovel ready at financial close. Whilst the majority of Simon’s career had been involved with onshore wind in 2014 he transitioned into solar development to build REG Power Management’s solar development pipeline in the UK. Latterly he has been involved in the through life elements of solar projects with his lead on Project Construction and Asset Management. In his most recent appointment at Voltalia, Simon is focusing on the development of large scale subsidy-free projects with a portfolio of over 200MW expected to be built in early 2020. As CEO Abid Kazim oversees all WiseEnergy’s activities and drive implementation of its expansion into new markets and new services. Kazim has over 30 years’ experience covering banking, strategy consulting and business operations across Europe, USA and Asia. Kazim was a founding consultant with eBusiness consulting at PriceWaterhouse and has led strategy exercises on the re-regulation of UK electricity markets (1998) and global strategy and delivery for a variety of companies. Kazim managed buy and sell side M&A in Europe, Asia and the USA. Over the past 7 years, Kazim has led the origination, structuring and/or delivery of 1,290MWp of solar projects. 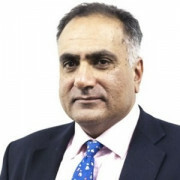 Kazim has deep knowledge and experience of UK solar development and delivery and developed the first UK local government low carbon centre of excellence. Barry joined Actis in 2016 as Head of Energy Operations and works across all energy and infrastructure deals. 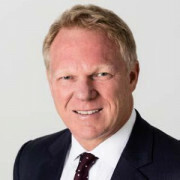 Prior to Actis he spent 8 years with Mainstream Renewable Power as Managing Director of Procurement, Construction and Operations with responsibility for delivering large scale wind and solar projects through the equity structuring, project financing and construction phases into operation in Europe, North America, Latin America and Africa. He was an executive director and board member at Mainstream and sat on the boards of two Actis Energy portfolio companies (Lekela Power and Aela Energia) in which Mainstream is a minority partner. Barry was also involved in the development Actis Energy investee company Globeleq Africa, within the renewable energy side of the business focused on South Africa. Prior to joining Mainstream Barry spent 8 years with ESB International and was involved in the construction and operation of large scale thermal power plants. He undertook a number of roles including Group Safety Manager and Operations Manager for Asia with responsibility for 4 power plants in Pakistan and Malaysia. Erico Lima is an experienced M&A professional in the Power and Utilities sector, covering EMEA region. Areas of expertise include mergers and acquisitions (M&A) origination and execution, corporate finance advisory, ratings analysis, debt structuring, hedging, acquisition and leveraged finance, corporate banking and hedging. 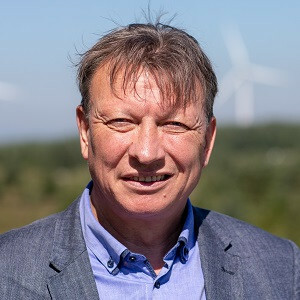 He is currently a Senior Lead Manager at Ørsted Wind Power M&A Transaction Management team, responsible for leading M&A processes where Ørsted brings new partners to its offshore wind farm projects under construction. Prior to that, Erico was a Director at HSBC's Power and Utilities Coverage team, mostly responsible for M&A origination and execution, but also managing the delivery of the full suite of financial products. In his role Benedikt Messner is responsible for the identification, negotiation and execution of sizable, structured, longer-termed energy commodity transactions, increasingly involving renewable energy sources. Messner has been leading a team that successfully closed European tolling contracts; as well as structured, negotiated and closed the first of it's kind long-term renewables offtake agreement. Until July 2016 Messner was General Manager at Enerjisa A.Ş., in Istanbul, Turkey, where he expanded and enhanced Enerjisa’s asset portfolio, consisting of ~2500 MW of gas-fired, hydro and wind power plants and annual sales revenues of over EUR 1bn. Messner was Member of Enerjisa’s Executive Management Team and Risk Management Committee. Messner was also member of the Board of the Turkish Federation of Energy Traders (ETD). 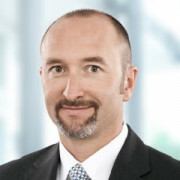 Prior to joining Enerjisa in April 2013 Messner was the Director of Origination at E.ON Global Commodities, Düsseldorf. Before that he held various managerial roles at E.ON, worked as portfolio manager at Acton Energy, Frankfurt and as a trader/mid-marketer at Enron Europe, London. 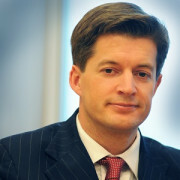 Messner started his career in 1996 with the liberalization of European electricity markets at Verbund, Vienna. 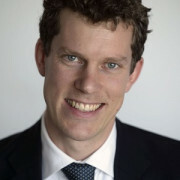 Alex O’Cinneide is the founder and CEO of Gore Street Capital. 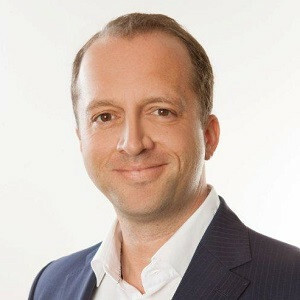 O’Cinneide previously was a Managing Director and Head of Europe for Paladin Capital, a Senior Advisor to Kleinwort Benson Bank in London, served on the Investment Committee of IndoChina Capital. From 2006 to 2013, O’Cinneide was Head of Investments for Masdar, Abu Dhabi’s USD 15bn SWF. 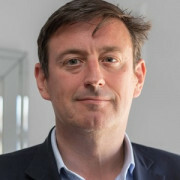 Alongside those commercial activities he is a trustee of the London Irish Centre, a UNICEF Advisor, chairing their Climate Change Committee; a visiting researcher to the Energy Policy Group in Cambridge University, a Fellow of the Royal Geographical Society, and the Vice Chair of the board of the Biomimicry Institute. 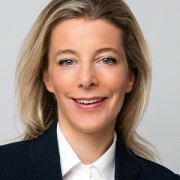 O’Cinneide is a published author and a regular speaker on venture capital and private equity, and is recognised as a global leaders in the field of renewable investing. Katherine Peachey sits within the power and renewables team in MUFG’s Structured Finance Office for EMEA based in London. Peachey has 13 years of project finance experience with a focus on structuring and arranging project financings as well as financial advisory in the power and renewables sector. Before joining MUFG, Peachey worked in the Corporate and Project Finance team at International Power, where she structured and arranged project financings and acted as financial modeller for a number of power and renewables projects. 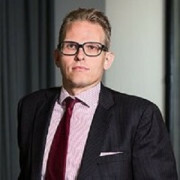 Kai Rintala is the CEO of Taaleri Energia Oy. The company develops, builds, finances and operates energy fuels, mainly renewable energy production facilities. 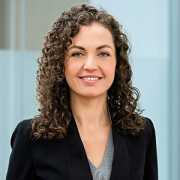 Prior to Taaleri Energy Kai worked with KPMG as a management advisor for more than ten years, of which more than five in Helsinki and five in London. KPMG was responsible for the Finnish infra-industry advisory services, focusing on wind power transactions. 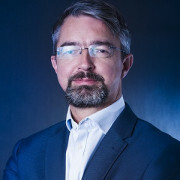 Marco Schweer joined Sumitomo Mitsui Banking Corporation Europe Limited (SMBC) in 2007 and has been working on investments in infrastructure & renewables for more than 16 years. As a Director in Global Structured Finance, Schweer is responsible for origination and execution of SMBC's mandated lead arranger roles across EMEA. He developed the smart grid and infrastructure utilities sector for the infrastructure team and is now focusing on SMBC's activities in the renewable energy sector. 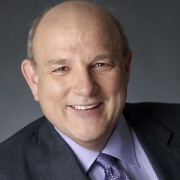 Prior to SMBC, Schweer spent 5 years at Bilfinger where he held board director positions of equity investments and was involved in all phases of infrastructure projects from early bid stages through to financial close, construction and operations management, and equity sales in the secondary market. Cristiano Spillati is Limes Renewable Energy Managing Director. He brings more than 20 years of experience in executive leadership roles in consulting, telecoms, and clean energy. For the past 14 years he has been focusing exclusively on the renewable energy sector, as strategy consultant and project developer. 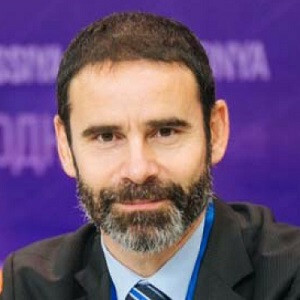 Cristiano comes to Limes from having developed solar PV projects globally with SkyPower Global, and having advised leading strategic and financial investors as Managing Partner of Koralion Partners, a boutique consulting company focused on the new energy sector. Since 2004, he was involved in the development of renewable energy projects in 13 countries in the four continents. He managed technical and financial teams throughout the whole project development life-cycle, from initial feasibility studies, to debt and equity sourcing and structuring. Adrian Swift joined Mainstream in June 2016 as part of the Corporate Finance Team to manage Mainstream’s relationship with the Impact Investors in Lekela, Mainstream’s pan-African joint venture with Actis. In addition, Swift manages Mainstream’s relationship with Lekela. This includes managing all aspects of funding requirements, reporting and corporate governance. Swift has over 20 years’ experience in various finance positions, including working for over six years with KPMG in their Corporate Finance and Financial Services Tax departments advising on Public Private Partnership and corporate restructurings. In addition, Swift was part of the finance team in Trinergy that refinanced and sold a EUR 1.8bn portfolio of wind energy assets in Italy and Germany. 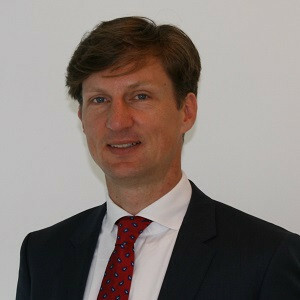 Tom van Rijsewijk is a Managing Director in Macquarie Infrastructure Debt Investment Solutions (MIDIS). Tom has been with Macquarie since 2013 and is a senior member of the Investment Team with responsibility for investing in the infrastructure and energy sector for its clients in the EMEA region. Rijsewijk has recently been active in multiple transactions in the transport, PPP, regulated utility, solar, onshore- and off-shore wind and biomass sectors as a senior lender. 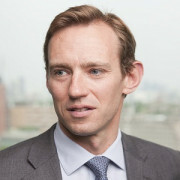 Prior to joining Macquarie, Rijsewijk worked at ING Bank, most recently as a Vice President in the Infrastructure Finance & Advisory Team in London, and before that, Amsterdam. 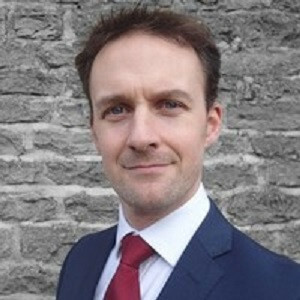 Charles Yates is a specialist in offshore wind with a passion for delivering commercial projects which serve the public good. Yates is supporting innogy’s bid for the first Indian offshore wind project, co-ordinating the financial close of the GBP 500m transmission link for the Race Bank offshore windfarm and working with the Government of Taiwan on implementing their offshore wind programme. 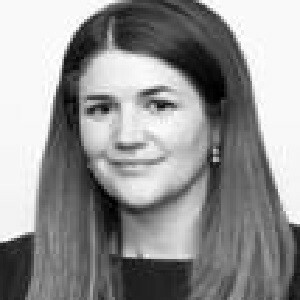 At Grant Thornton, Yates led a team working on renewable energy transactions and regulation including advising Ofgem on the procurement of more than USD 1.8bn of transmission links from four offshore wind farms. Before this , Yates was an investment banker with Nomura International Plc for 13 years including as a member of the Principal Finance Group which acquired businesses with a total value of USD 21bn.